One World. One Global Village. Countless Possibilities. Amazing! 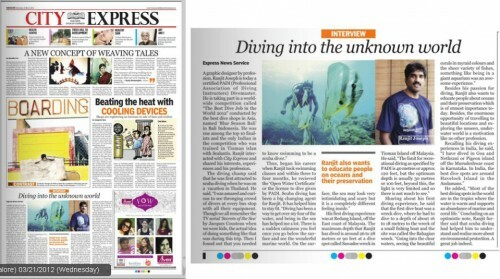 Made it to the newspapers in Bangalore! 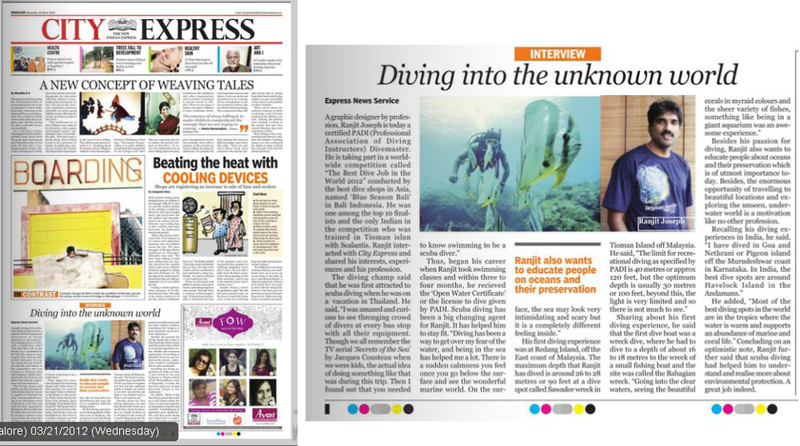 Best Dive Job 2012 and Blue Season Bali gave me the opportunity to make it to the pages of the largest circulated daily newspaper in South India. 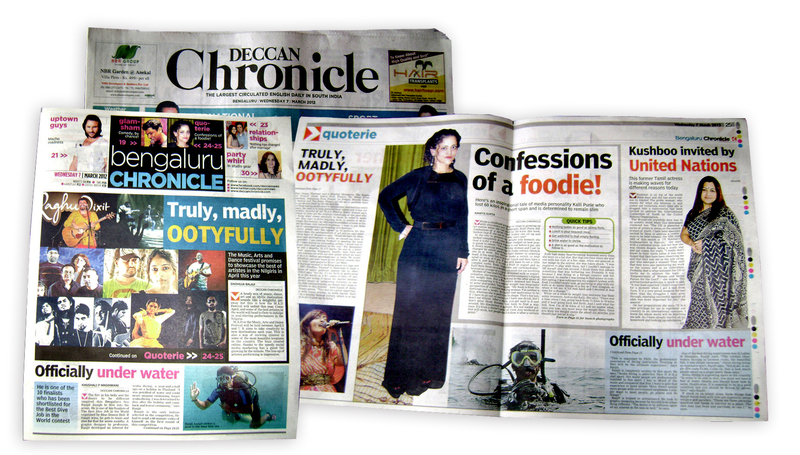 The Deccan Chronicle has a certified readership of over 1.45 million in South India with the Bengaluru City alone having a readership of over 240,000. The paper also has an online and smart phone version, making the viewership actually limitless. Thank you Best Dive Job 2012. Meet people. Go places. Do things.